With nearly 28 years of experience cleaning commercial properties, our team is committed to the cleanliness of your building, the health of your employees, and the relationships we build with our customers. Headquartered in Ann Arbor, Michigan, RNA Janitorial is a full-service cleaning company. Since 1991, we have developed our own methodology of cleaning spaces. Our method has been proven to be both efficient and effective. At RNA, we continue to refine this special method to ensure that our reputation in cleaning goes above and beyond our client’s expectations. Our team understands the importance of a clean and well-maintained facility. We recognize that employees, customers, and clients can thrive well when spaces are immaculately clean which can quickly establish a positive image for your facility. As a member of the U.S. Green Building Association, RNA takes a holistic approach to cleaning and maintaining facilities. Green cleaning provides numerous health benefits and satisfaction in making the facility and community of business a safe and better place to be in. We do this by only using environmentally-friendly ingredients and chemicals. Our products are non-toxic to human and animals, less likely to cause long and short-term health problems and illnesses, and helps protect the environment. Banks: Germs are abundant at banks, but keep your staff and clients healthy with regular commercial cleaning. Government: Government offices are the public face of jurisdictions everywhere, large and small. Keeping these spaces clean can help stop the spread of germs and bacteria. Healthcare: Cleaning in medical environments requires special training that our team has. We ensure that medical environments are cleaned, sanitized and safe for patients and employees. Hotel and Resort: Help your visitors relax and keep them happy and healthy in a clean and inviting area that is cleaned to perfection on a regular basis! Manufacturing Facility Cleaning: Our team is trained in the best techniques to maintain and care for manufacturing equipment. Office and Building Cleaning: This includes any type of basic office cleaning for large or small businesses. Restaurant Cleaning: Food Service cleaning is unique, but our staff is trained in the most up-to-date food safety requirements and make your cleaning task simple! 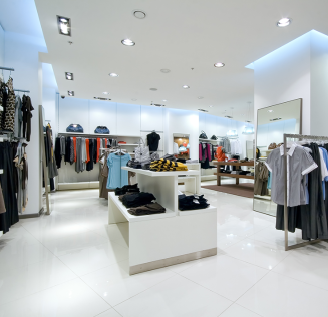 Retail Cleaning: Appearance is everything in retail! Hire a professional to help make the best first impression on your customers. School and University Cleaning: Keep your students, faculty, and staff safe by deep cleaning your facility regularly. RNA Janitorial continually strives to provide the highest quality, most up-to-date, professional cleaning service designed to meet and exceed the individual expectations of our clients. Whether you need an occasional office cleaning or a heavy duty commercial project, we’ll get it clean the first time, every time. Our employees will leave your floors, windows, and working surfaces sparkling and your indoor air healthier to breathe. We’ll save you money, help you become more efficient and create a clean, fresh and bright environment. At RNA Janitorial, we have helped businesses succeed by offering cutting-edge cleaning technology, exceptional customer service, and reliability that you can count on. To experience the RNA Janitorial difference, give us a call at 877-RNA-7511 today.